The LCA actively engages ADR professionals through training, publications and intercultural exchanges. To access the full benefits of these programmes, we encourage those interested in the field to become members of the LCA. All application forms must be submitted to the LCA offices either online or in hardcopy with a professional curriculum vitae included. Applications are reviewed by the LCA Board of Directors who reserve the right to deny applicants at their sole discretion. Where applications are rejected, a partial refund will be given. Membership is valid for twelve calendar months after payment of membership fees has been confirmed. The acquisition of knowledge on the current trends in arbitration and ADR. Shared knowledge and support through an allocated interest group. Access to ADR related news via electronic and hardcopy newsletters. 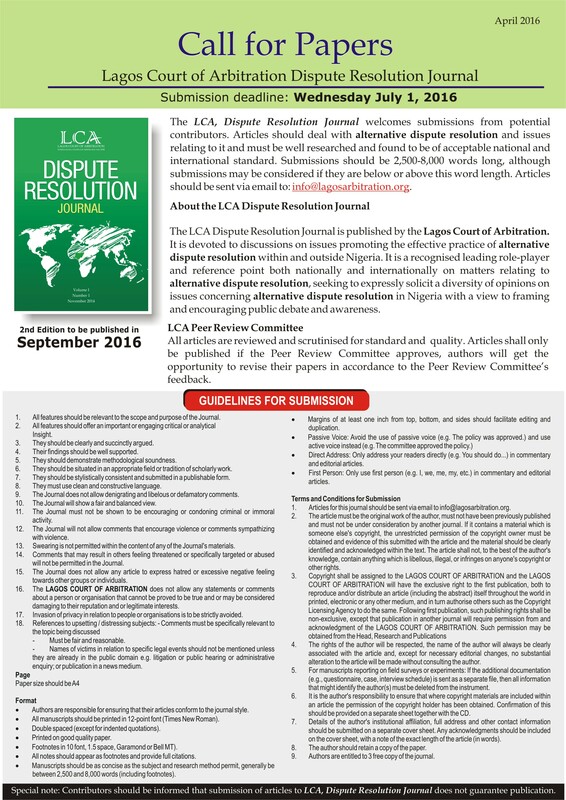 Opportunities to exchange articles with other LCA members via “The LCA Forum”. Discounts on LCA events, trainings and activities. Free advice on arbitration and ADR law and practice. Access to the LCA annual lunch/dinner. Access to free lectures on ADR or corporate topics, hosted by distinguished speakers. N15, 000/ $100 for individuals. N45, 000/$300 package for Corporate members (includes membership for up to four members). N5, 000/ $35 for students. The LCA Panel of Neutrals is composed of highly regarded Arbitrators, Mediators, and Alternative Dispute Resolution (ADR) experts from around the world. In order to join the LCA Panel of Neutrals, candidates must either be invited or fulfil the application criteria. Furthermore, candidates must be existing members of the LCA. N25, 000 for Non-Members of the LCA – this covers Membership and Neutral fees.